The owners have updated this midcentury garden house to create a fabulous Vacation Home where it’s all about relaxing in the sunshine. Gorgeous private pool yard with mountain views. 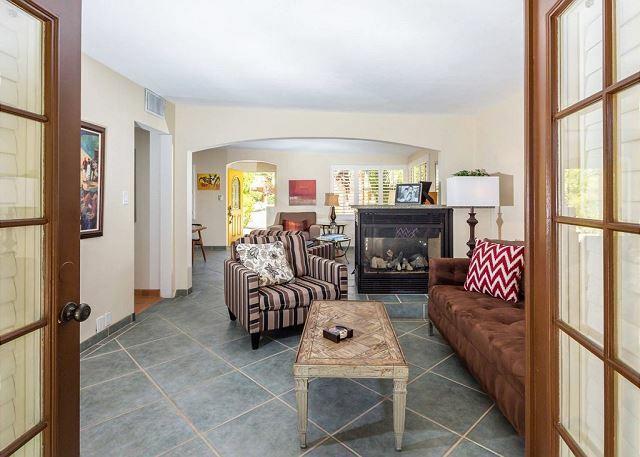 Spacious open concept floor plan where all of the rooms open up to the outdoor patios, gardens and courtyards. Free WiFi, four flat screen televisions, and three en suite sleeping quarters including a guest casita with a serving kitchen and poolside bar. As gorgeous as the interior spaces of this home are - it is the outdoor spaces that are the crowning glory. 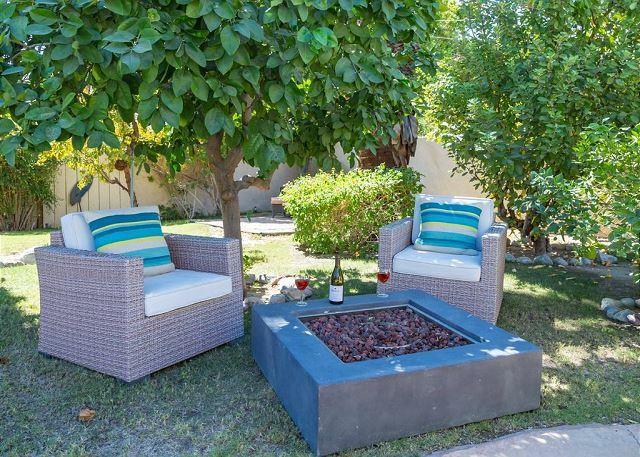 The entire back yard has been walled and landscaped for complete privacy. 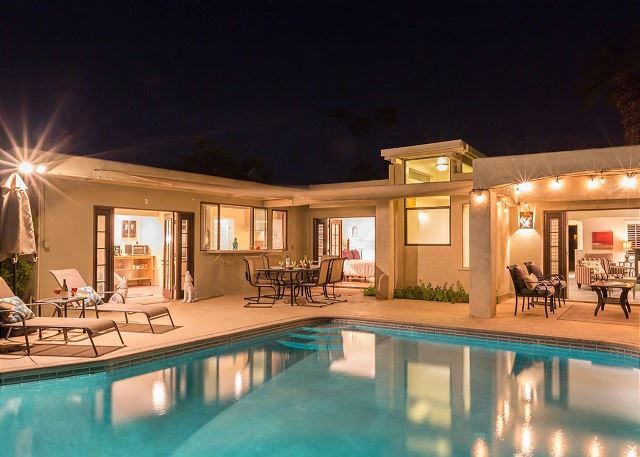 Poolside chaise lounges, outdoor dining and hanging spaces, a fire pit, shade umbrellas - this vacation home has it all - perfect for relaxing in the sun or escaping to the shaded areas. 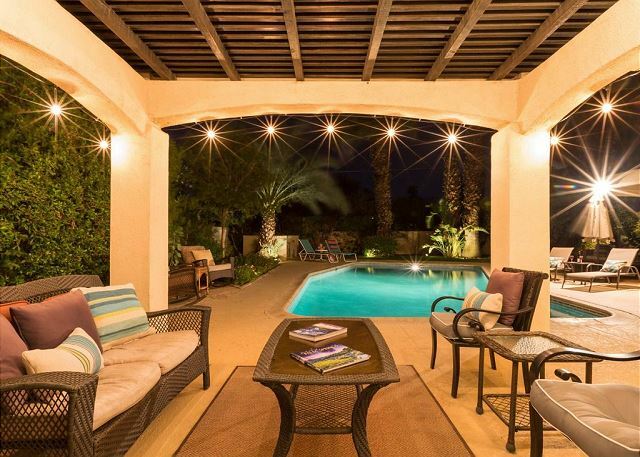 At night, beautiful twinkling lights and landscape illumination compliment the desert’s starry skies to give this place a completely magical feel - like your own private Palm Springs resort. 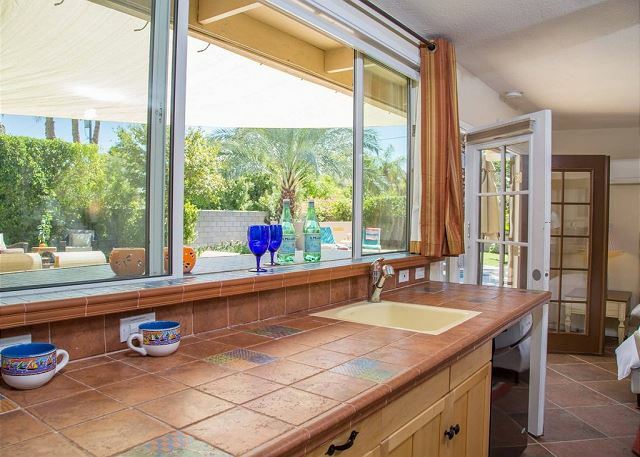 Tucked away on a quiet residential street in the Movie Colony East neighborhood, this property is just one block from Ruth Hardy Park, and less than a mile from the world famous Palm Canyon Drive. 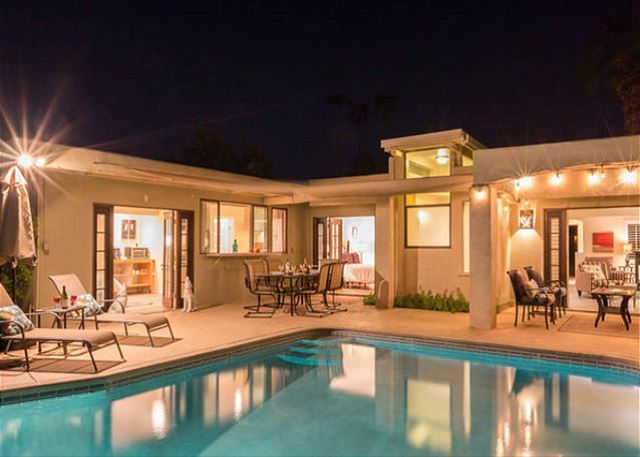 You’ll be in walking distance to the Palm Springs Uptown Design District with its fine dining restaurants, sidewalk cafes, specialty boutiques, art galleries and midcentury modern furniture showrooms. The casino, convention center and night spots like Tropical and The Copa are just a short stroll away.